Nick Ashford was one half of Ashford & Simpson, the husband and wife songwriting duo who penned some of Motown's biggest hits. Sadly, Ashford died on Monday (August 22) in a New York hospital, after losing his battle with throat cancer. He was 70. Starting in the mid-1960s, Ashford & Simpson wrote classic songs for artists like Marvin Gaye and Tammi Terrell, Ray Charles, Diana Ross, Aretha Franklin, and the Supremes. Their credits include "Ain't No Mountain High Enough," "Aint Nothing Like the Real Thing," "Let's Go Get Stones," "You're All I Need to Get By" and "Reach Out and Touch (Somebody's Hand)." 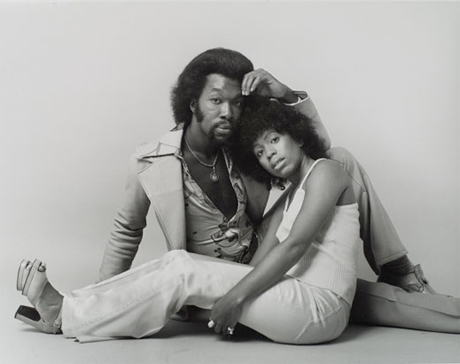 In addition to composing music for other artists, Ashford & Simpson had a successful career as performers, and released albums through Warner Bros. and Capitol. In 1984, they scored a hit with their song "Solid." After achieving great success from the '60s to '80s, Ashford & Simpson's post-millennial output was sporadic, and they opened a venue called Sugar Bar in 1996. They were inducted into the Songwriting Hall of Fame in 2002. They also have two daughters, Nicole and Asia. This is a sad week for classic songwriting duos. Yesterday (August 22), we learned of the death of Jerry Leiber, who wrote many hits alongside Mike Stoller.